“Thunder in Paradise” has been released! 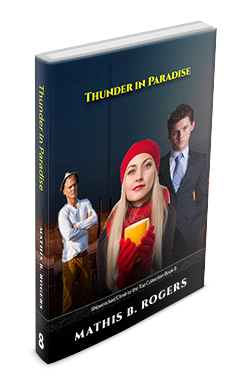 I have released Thunder in Paradise. Jefferson Bank and Trust has a new accounts manager. Just what hold does she have over Brad? In a tearful rage, will Kris take the promotion that he’s offered with ICC, even though it requires him to go to Switzerland for three months? You may get your copy of Thunder in Paradise here. I will be releasing Family Reunion next week.